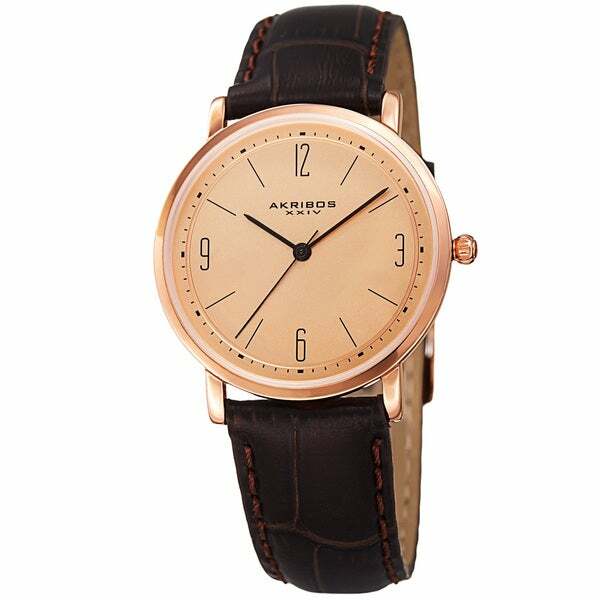 This women's timepiece from Akribos captures the essence of classic watchmaking. The matte finish dial includes slim hands and clean cut hour markers. The genuine leather strap makes it a beautiful accessory for your wrist perfect for any occasion.